BIRMINGHAM, England — After Thursday night’s women’s tactical women’s 3000 final at the 2018 IAAF World Indoor Championships here at Arena Birmingham which basically turned into a 1500 meter run for gold as the last 1500 was covered in 4:04, we had one question, ‘Could the Netherlands’ Sifan Hassan had won had she not spotted Genzebe Dibaba 1.7 seconds over the first 2k?’ Afterall, Hassan had the fastest last lap (by a quarter second) and last 1k (by 1.1 seconds). Tonight, we got our answer. No. Dibaba showed once again she’s the best middle distance runner in the world indoors as she won her 23rd straight indoor race* – she hasn’t lost indoors since 2010 – and fifth global indoor title by taking the lead just before the 500 meter mark and never giving it up to complete the 3000/1500 double in impressive fashion. Dibaba won in 4:05.27 an incredible time considering the first 200 of this race was covered in 39.25 and first 400 in 76.48. 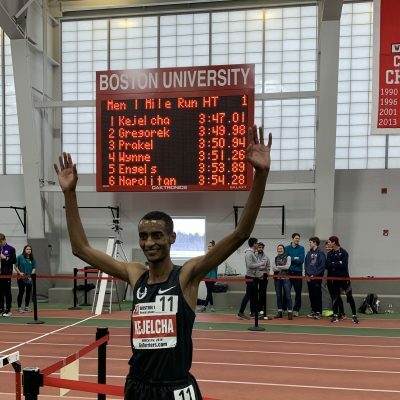 The finishing time ended up being 4:05 only because Dibaba was magnificent over the last 1k, running it an in an unofficial 2:31.1, with her last 800 an unofficial 1:59.96. Not too shabby considering the world’s best for the 1k indoors is Maria Mutola’s 2:30.94. 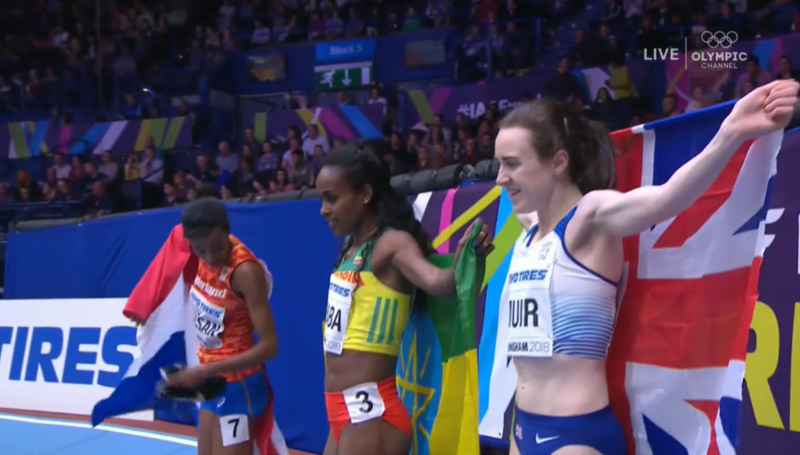 The medallists behind Dibaba were the same two medallists in the 3000, except this time the order was reversed as Laura Muir was second in 4:06.23 with Hassan third in 4:07.26. America’s Shelby Houlihan who was way back in this one when Dibaba was making her move for glory – the top 6 had gapped the field with 600 meters to go and Houlihan wasn’t in that group – judged her effort well to finish fourth once again (4:11.93) with her training partner Colleen Quigley 9th in 4:15.97. Dibaba got out in 2nd behind Morocco’s Rababe Arafi as the runners crawled for the first 200 (39.25). It only picked a little bit to 400 (76.48) before Dibaba had enough and went to the lead just before 500. She then did exactly the same thing she did in the 3k – tighten the screws and screw the life out of the rest of the field over the final 1k as she reeled of laps of 31.11, 30.71, 29.97, 29.46 and 29.82 to get the win. 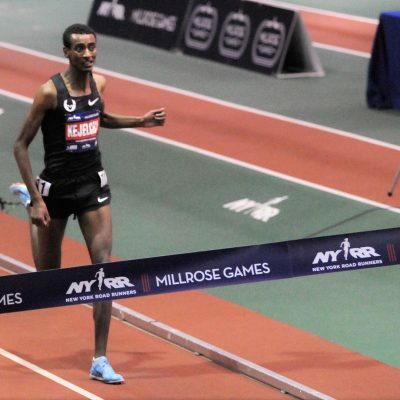 Despite those splits, Hassan and Muir managed to stay with Dibaba until they hit the backstretch of the final lap – an impressive feat as the fourth and fifth placers at the bell (the two Kenyans in the field) were roughly 20 meters behind – and Hassan, who was in second, started to fade and lose contact. Muir went around Hassan but she the gap between and Dibaba only increased all the way to the finish line. Behind them, Houlihan went from 7th to 4th over the final 200. 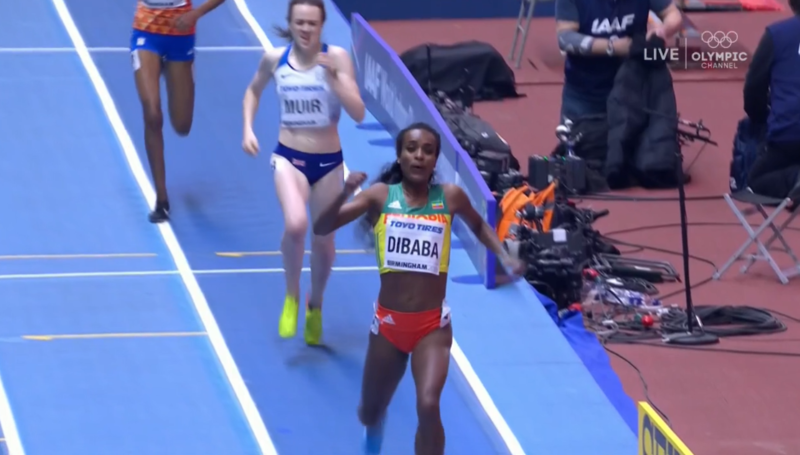 Dibaba won this race in the same way that she won the 3000 on Thursday and the 3000 in 2016, and the outdoor 1500 in 2015: she made a hard mid-race move that was impossible to match. The only person who might be capable of closing in 2:31 for their final 1000 right now is Olympic/World outdoor champ Faith Kipyegon, and she’s taking time off to have a baby. We’ve praised Mo Farah for his tactic of holding the lead for the last lap or two, and while there was a little Farah in Dibaba’s race tonight — hold the lead at all costs — what Dibaba did was even more impressive. Farah will try to keep it slow for the last few laps before Exploding over the final 400. 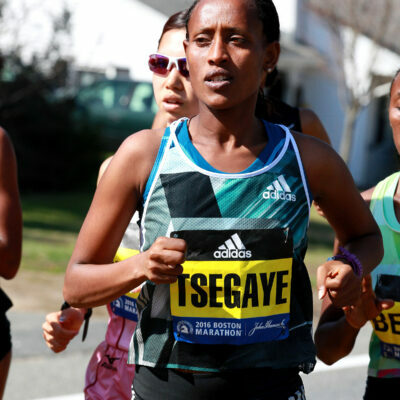 Dibaba began slamming it home with 1000 to go and only increased the pace on the way home. 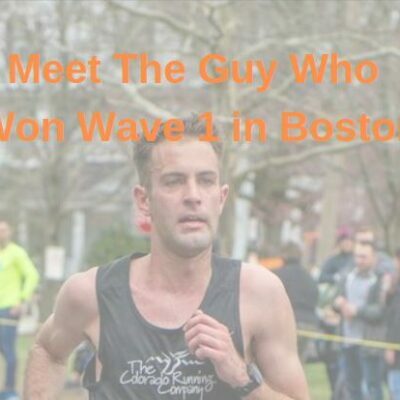 Even a 3:55 woman in Muir and a 3:56 woman in Hassan couldn’t touch her. Obviously there are questions about Dibaba’s coach — though neither she nor Jama Aden have faced any sanctions — but she was allowed to compete in Birmingham just like everybody else and now has two more gold medals, bringing her total to six overall (five indoors, one outdoors). Muir has been capable of medalling for a couple of years now, but it took her a couple of years to learn how to do it. Muir famously went for gold when Dibaba made her big move in the 2016 Olympic final and wound up fading to 7th place despite running 3:55 in Paris 11 days later. Last year in London, she made a similar mistake, again being a bit too impatient on the final lap. 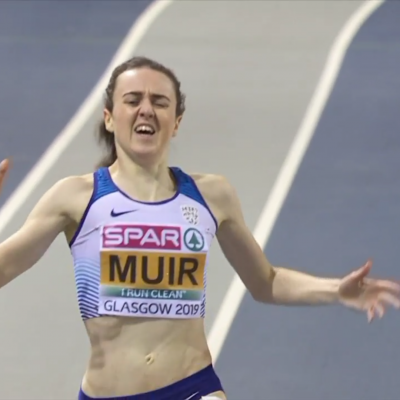 But in Birmingham this weekend, Muir showed great patience and awareness of her body’s limits. 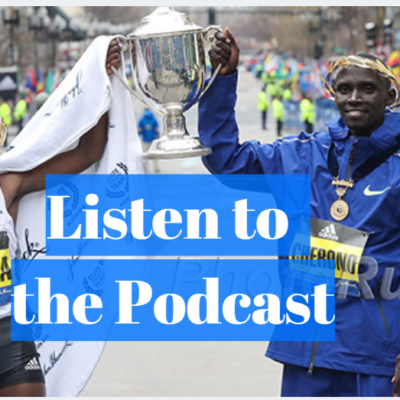 When Dibaba made her big move, Muir put herself in position to medal, but did so gradually. The experience of Rio 2016 and London 2017 let Muir know that she would not be well-served by trying to match a big, sudden move and that patience would be a more effective strategy. That’s good news for Muir, but bad news for the rest of the world. After the race, one of our thoughts was This isn’t good for Jenny Simpson. 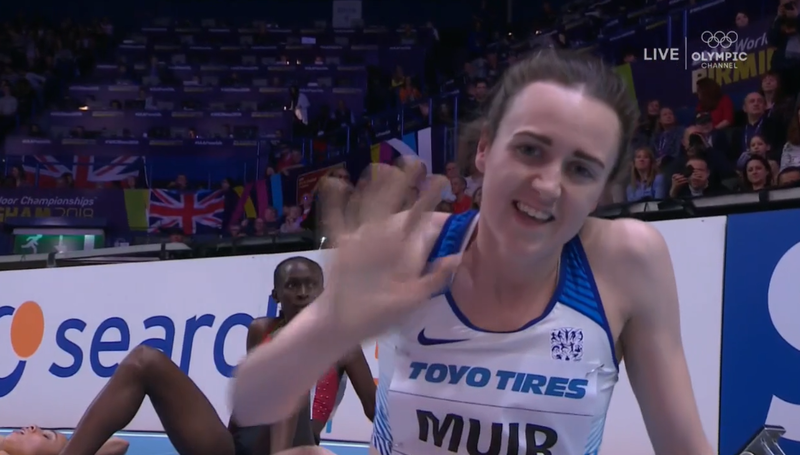 Simpson wins her medals by running smarter than everyone else, but if Muir (a 24-yr-old 3:55 woman compared to the 31-yr-old Simpson’s 3:57) is running smart now, that could be a problem. Of course, doubting Jenny Simpson has proven to be one of the most foolish things you can do. She remains one of the world’s best at 1500 and in the thick of the medal hunt. Houlihan knew she couldn’t match Dibaba’s big move and instead take advantage of those that did and try to reel in as many people as she could on the way home. 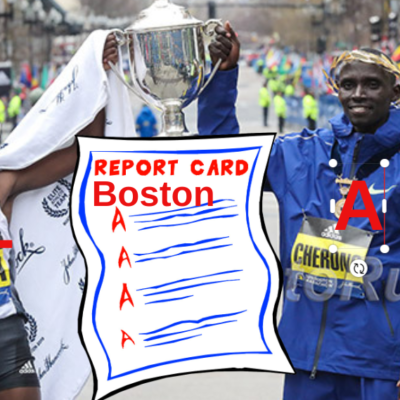 A smart strategy as it was unlikely she would have beaten Dibaba, Muir, or Hassan under any scenario tonight. Quigley admitted that she didn’t run well tonight. And while she could have placed higher with a better race, as a steepler coming down to the 1500, she wasn’t going to medal no matter what. She doesn’t have the kick to take down women like Hassan, Muir, or Houlihan, but doesn’t have the strength to run away from the field. Just making this team was an impressive accomplishment for her, even though she knows that the goal of Bowerman Track Club is to do more than just make the team. Talk about the action on our world famous messageboard. *Dibaba’s streak would be 24, but Dibaba was DQ’d in a 3k in Dusseldorf in 2012 for cutting in too early. Considering she won by over five seconds, cutting in early did not affect the outcome so we aren’t counting that as a loss.